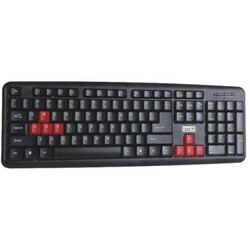 Intex USB Keyboard. Black Colour. 1m Wire. Slim. Compatible for Windows 7. Soft Touch Keys. Stylish. The slim Corona RB USB is another innovation of input devices under keyboard. 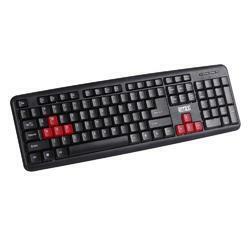 This Keyboard slim Corona RB USB is a great buddy for gaming purposes. Operating System Windows 95/98/200/ME/XP/VISTA.Interface PS2. Drag and drop to save, right out of the box. - Navigation Technology Resolution:800 DPI . - Operating temperature:0 to 40 deg C.